It wasn’t long ago that terrain parks were an exotic beast – a place where adventurous skiers and snowboarders could spend time testing gravity and sliding their boards and skis down the occasional hand rail. So who is doing it right? For all of the senders and jibbers in your crew, here are five of the best terrain parks in North America. Mammoth comes in high on our list for a reason. 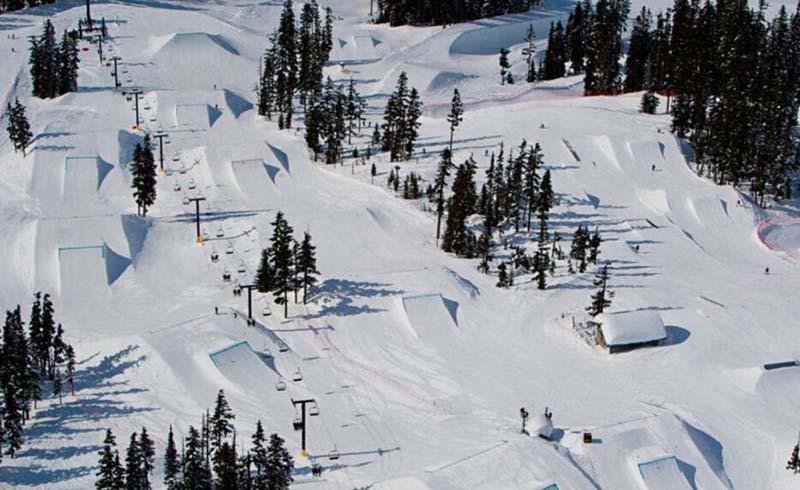 When it comes to terrain parks, there is nothing quite like Mammoth Mountain. With a season that stretches nearly eight months, Mammoth’s Unbound Terrain Parks are nothing short of legendary in ski and snowboard circles. The Southern California gem has been perfecting its craft over 20-plus years, serving up a variety of parks and three halfpipes over 100 acres of terrain. Typically featuring over 100 jibs and 50 jumps, Unbound’s sheer variety keeps freestyle faithful coming back year after year. For those that are ready to rub shoulders with the best in the business, head directly to Main Park. For the rest of us, don’t fret, we can watch all of the action from the safety of the chair, as the Unbound Express passes directly overhead. Whistler has terrain for days and then some. When one of your terrain parks’ “claim to fame” is that it can be seen from space (okay, from space via Google Earth) you know you’re onto something. With five parks spread across its two main peaks, Whistler Blackcomb covers some serious area (99 acres to be exact) and has nearly 200 features to play on. Perhaps more impressive, however, is the length of Blackcomb’s main terrain park, measuring 1,020 vertical feet from top to bottom. Aspen is more than just X Games. 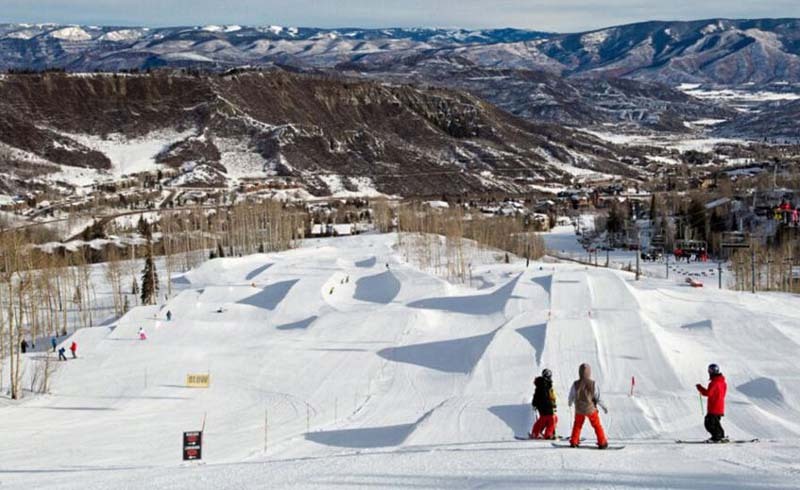 Home to the X Games, Aspen Snowmass knows a thing or two about quality terrain parks. While most of the televised action goes down over at Buttermilk, Aspen locals head to Snowmass, where innovation and precision make for one of the most recognized terrain parks in the region. 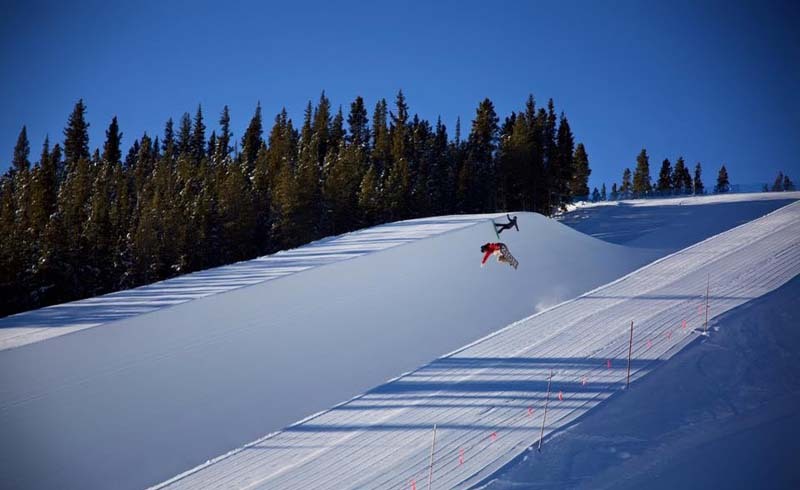 In addition to over 100 features and a 22-foot-tall Superpipe, these terrain parks have witnessed some of the most iconic moments in action sports, including Mark McMorris‘ first-ever triple cork 1440 and Shaun White‘s perfect-100 at the Snowmass Grand Prix. But don’t be intimidated, Snowmass is also home an introductory and intermediate park perfect for young groms and beginner jibbers alike. 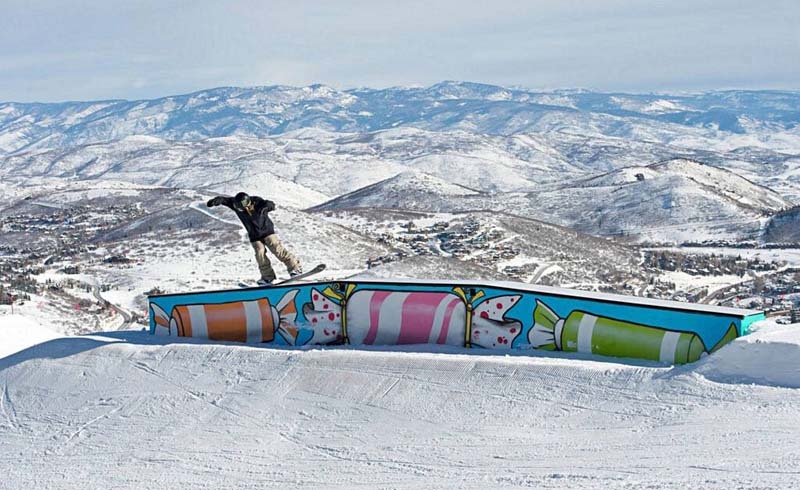 Sun and fun draw some of Utah’s finest to Park City’s proving grounds. If you've seen an insane terrain park edit in the last few years, chances are pretty good that you’ve already seen Park City Mountain's terrain parks in action. Perfectly shaped step-downs and some of the biggest, most creative rail setups in North America are just a few of the factors that draw some of the most talented skiers and riders (and their filmers) to the sunny slopes of Park City Mountain. But Park City isn’t just for the pros. In fact, the area has a diverse progression of parks, from its kid parks to more intermediate Pick Axe Park. Carinthia has every option an East Coast skier or boarder needs. 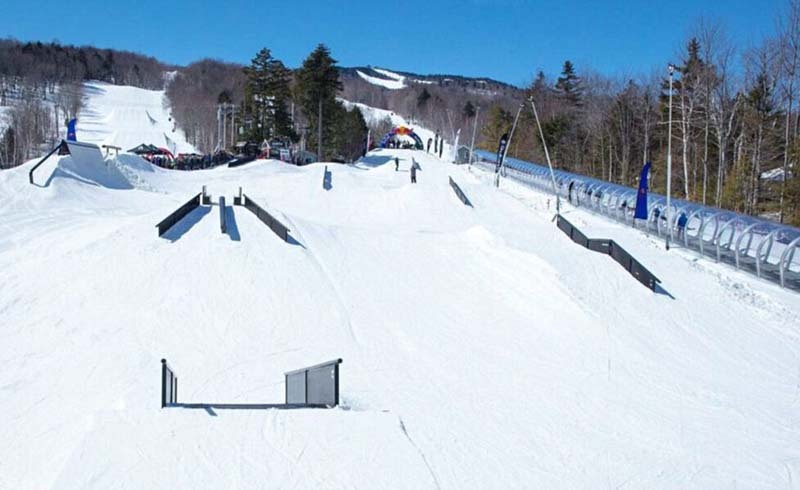 Ever since Carinthia Parks took over Mount Snow‘s Carinthia Peak nearly a decade ago, it has been the ultimate terrain park reference for East Coast skiers and snowboarders. 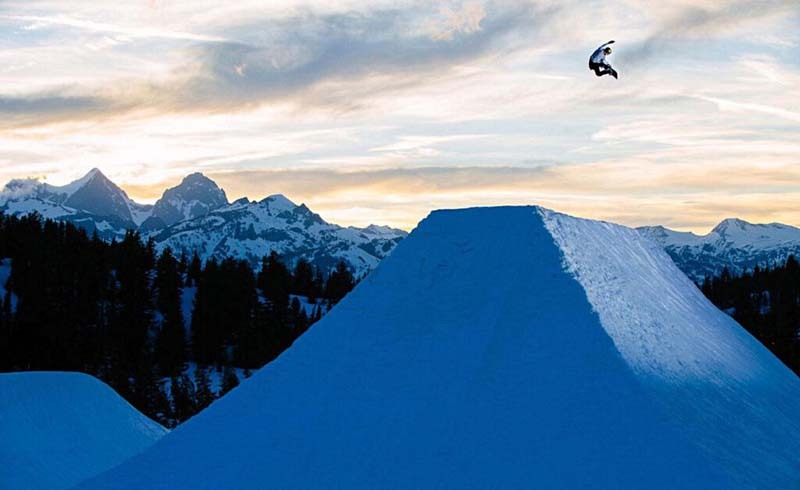 Over 100 acres of jibs, rails, jumps and natural terrain, topped off with one of the region’s only competition Superpipe, Carinthia is ground zero for local talent and a perfect proving ground for beginners and experts. If the park itself isn’t enough, Carinthia also hosts the Peace Pipe Rail Jam and Carinthia Classic competitions each year, bringing the entire Ice Coast freestyle community to one place. This year Carinthia opened up its brand-new Carinthia Base Lodge, offering eats and drinks after a long day of hill-banging. Breck is one of Denver’s favorite liftoffs, and for good reason. Many a terrain park enthusiast would lose their lid not seeing Breckenridge on the terrain park list, and for good reason. 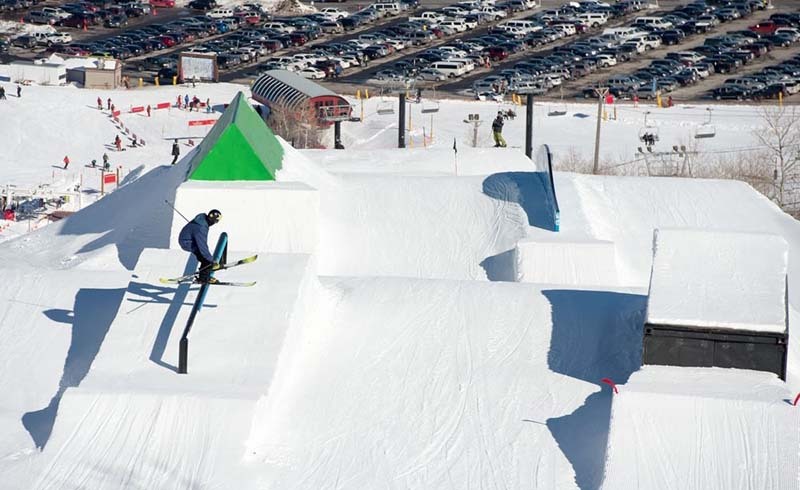 The Colorado staple is the main stomping grounds for the deep Boulder and Denver freestyle crowd, featuring four parks that can all compete with some of the best in the game. The Freeway is labeled a “pro” park for good reason, as you are likely to bump into a pro or two in the rail line. Breck’s biggest knock is the crowds, as these jib-friendly slopes get packed out quick, especially on weekends.